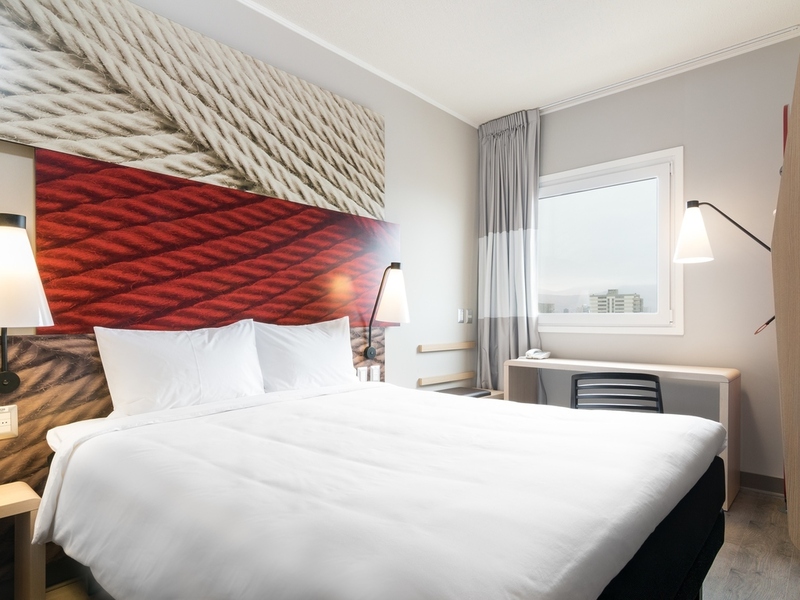 The ibis Iquique hotel is located in the city of Iquique, a port and free zone in the region of Tarapacá in northern Chile. 3 blocks from the coast, 1 mile from Playa Cavancha beach and 1.6 miles from Mall Zofri. Stone's throw from the pedestrianized Ba quedano Street, which boasts bars, restaurants and cultural attractions. Enjoy a moment of relaxation in our air-conditioned rooms with the comfortable Sweet Bed by ibis. The hotel has free WIFI, a modern ibis Kitchen restaurant, 24-hour bar and car park. A moment of relaxation in our bar. The ibis bar is the ideal place for everyone to get together and unwind at any time of day. With a variety of quick dishes, sweet options and hot and cold drinks, 24 hours a day.